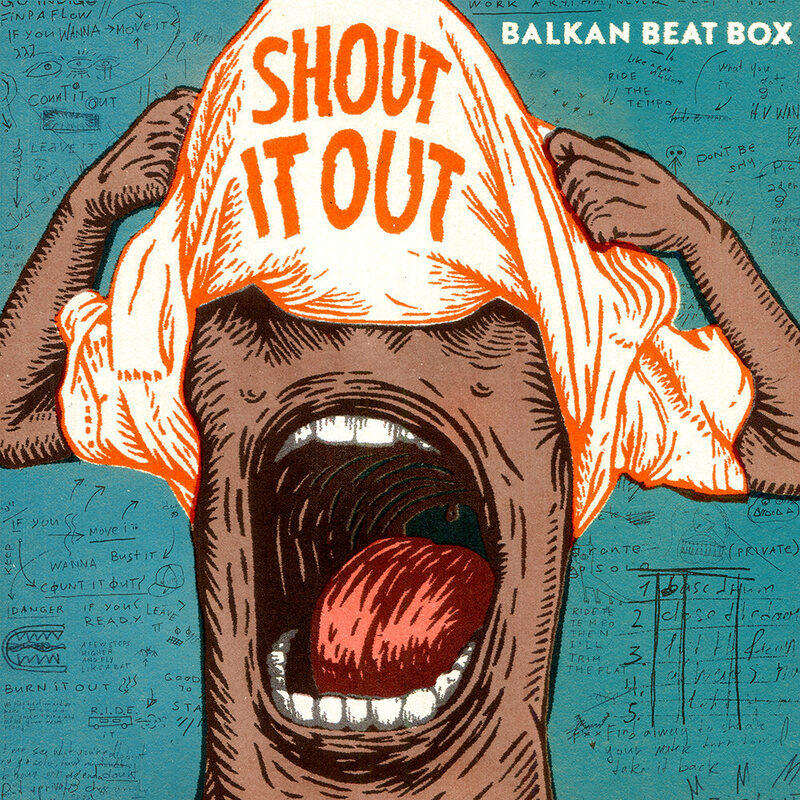 ℗ 2016 Digital Monkey, Inc.
Shout It Out is the fifth album from Balkan Beat Box and the follow-up to the group's 2012 release Give. The Israeli trio, comprising Tomer Yosef, Ori Kaplan and Tamir Muskat, is on classic form here; its collective heart less on the sleeve than it is in the chest, but with a clear mandate to move listeners on a global front, both physically and emotionally. From the percussive, electronic opener through to the funky, infectious closer, Shout It Out is the sound of a band at its best. "Thematically, the album is more about interpersonal relationships, not as much of a macropolitical viewpoint. It's back to the beginning, how we deal with each other and the personal search within ourselves leads to how communities relate to one another."